According to Microsoft, users who’ve upgraded from Windows Phone 8.1 to Windows 10 Mobile are always able to roll back to the previous version. This is because when a user decides to upgrade, their original Windows Phone 8.1 recovery image is saved so that if for some reason they’re not satisfied with Windows 10 Mobile, they can easily roll back using the Recovery Tool. Unlike the PC version of Windows 10, where users have the option to downgrade only for the first month of use, this option will always be available to unsatisfied Windows 10 Mobile users. However, Microsoft is currently offering the downgrade to Windows Phone 8.1 only, meaning users will not be able to go back to the previous Windows 10 Mobile build using the Recovery tool. Although this option might come in handy for those who want to permanently downgrade to Windows Phone 8.1, it will make life harder for users who just want to restore their Windows 10 Mobile devices. They will need to downgrade to Windows Phone 8.1 first and then upgrade to Windows 10 Mobile again — something which is more complicated and takes more time than a single restore process. 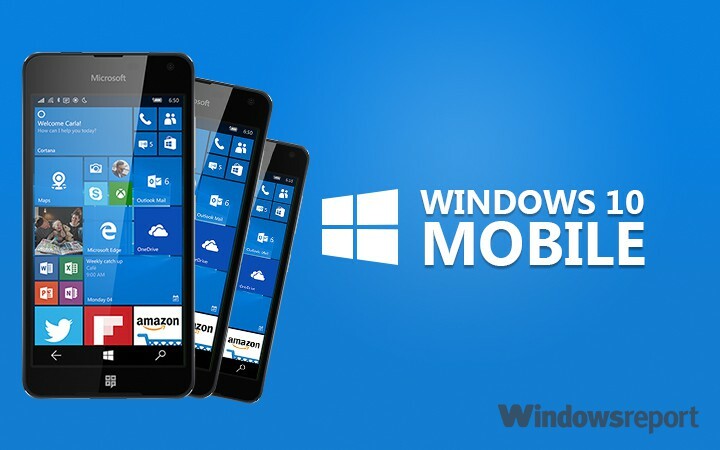 We’ve waited more than a year for Microsoft to release the full version of Windows 10 Mobile. And when the company finally released it, users were far from satisfied. The fact that Windows 10 is only available to a certain number of devices caused a large number of complaints. But even those who were able to perform the upgrade feel that Microsoft should have done the better job with the new OS. Windows 10 Mobile is still bug prone, even outside the Windows 10 Mobile Preview program. So, users who got used to the smooth experience of Windows Phone 8.1 might find it annoying to use the new operating system. On the other hand, some users simply don’t like Microsoft’s approach for Windows 10. If for any reason a user decides to downgrade to Windows Phone 8.1, they can always reinstall Windows 10 Mobile, making the process risk-free. However, we hope that Microsoft will eventually include the ability to downgrade to a previous Windows 10 Mobile build to avoid the whole “Windows 10 Mobile-Windows Phone 8.1-Windows 10 Mobile” labyrinth.